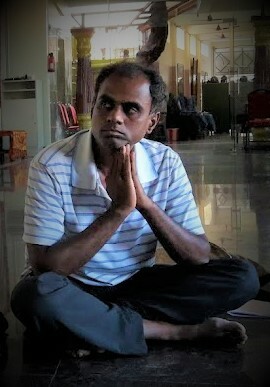 Vijay Ramakrishnan, is a cheerful, committed teacher, trained by Sn Shivarishi from 2009. He completed from basic course to Pratyahara Shibiram conducted at SYC. He successfully completed a two year teacher training at Satyananda Yoga Centre. He also completed a Teacher’s Training Course at Bihar School of Yoga. Conducts classes for children, youth, adults all over Chennai at our Satyananda Yoga Centres and in several corporate programs on behalf of the centre. His humility and simplicity is something one would like to imbibe from him.